This post is a part of my brand ambassadorship relationship with Expressions Vinyl. Thanks so much to Expressions Vinyl for making this post and giveaway possible today. A wood slab…a tree slice…whatever you want to call it, these slices of a tree trunk are simply beautiful! And I have been stewing on a way to incorporate one in my home. 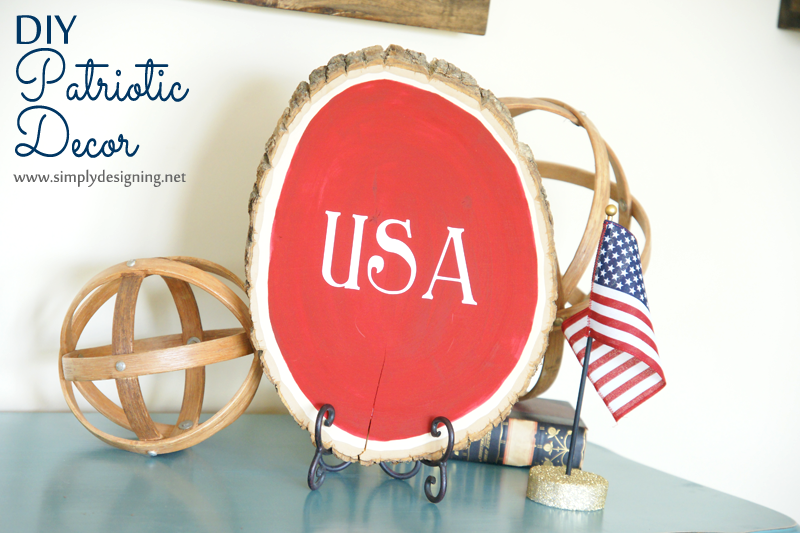 So when I decided to decorate my home for the 4th of July, I knew I wanted to take a stab at creating a Patriotic craft using a tree slice and of course one of my favorite crafting mediums: vinyl! And I just love how it turned out! In case you didn’t hear, I am a brand ambassador for Expressions Vinyl and I am absolutely THRILLED! I have worked with EV for several years now and have posted regularly on their awesome blog! 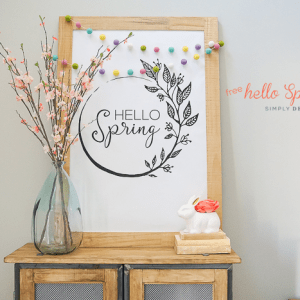 But today, I am thrilled to be able to show off this really fun idea on my own blog, along with two other amazing bloggers! AND host an amazing joint GIVEAWAY for all of our awesome readers! You simply aren’t going to want to miss this! I was sent an amazing box full of beautiful patriotic inspired vinyl and was challenged to create something for the 4th of July! Since I already knew I wanted to incorporate a tree slice into my decor, I ended up with a simple but fun project that I absolutely love! 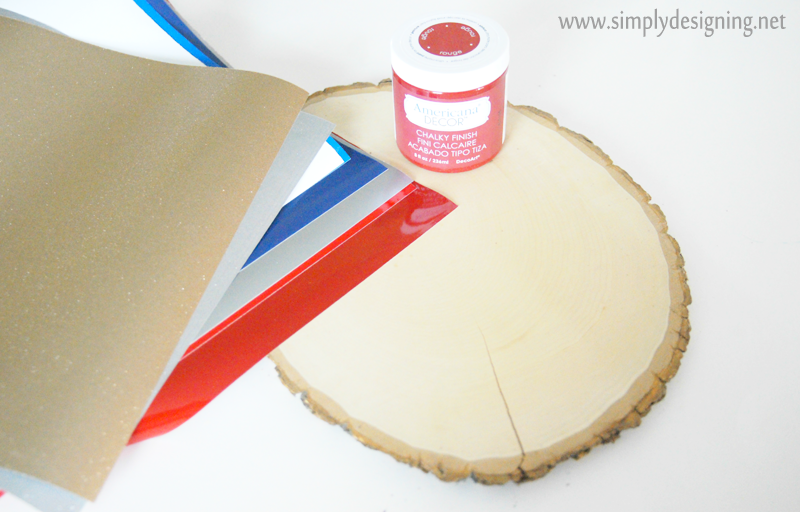 To create this project I began by using a foam brush to paint the wood slice with my red chalky paint. I left a little bit of a border around the edge of my tree trunk, but you can paint all the way to the edge or paint as close to the edge as you like. 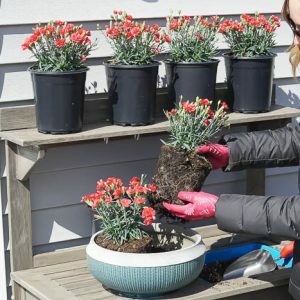 There is definitely room to make this project your own! After the paint is completely dry, I cut my vinyl out using my amazing Silhouette Cameo! You all know it’s one of my favorite crafting tools! 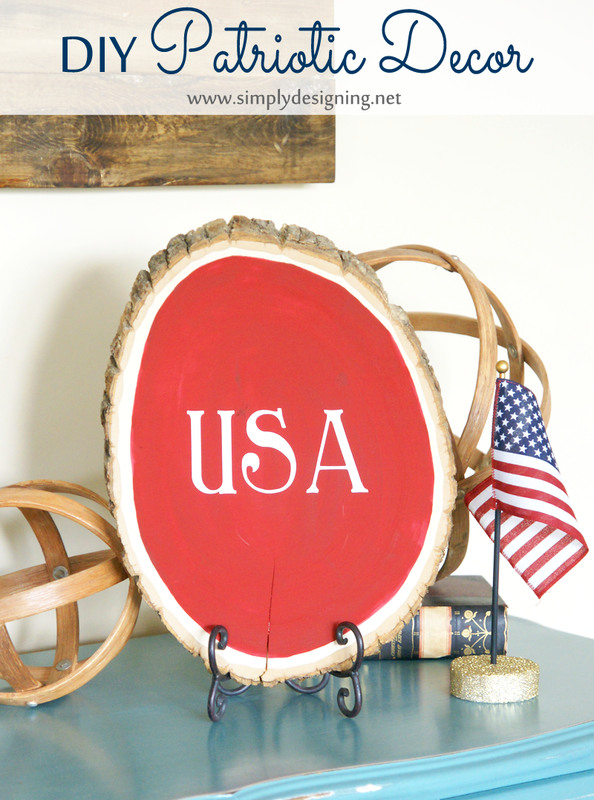 I selected a fun font and chose to cut out “USA.” But again, you can create this project any way you want to and use any word you want to! I loved USA as it was simple, but other words like free, brave, freedom, America etc. would work well too! I cut my word out using white vinyl, weeded the excess vinyl off of the backing and then applied transfer tape to the top of the vinyl lettering. I carefully peeled the vinyl letters off of your backing sheet with my transfer tape and then I applied my vinyl lettering directly to my board. I love using a scraper to rub the vinyl letters onto my wood before removing the transfer tape, but there are many other tools that work well for this job as well! Finally I carefully peeled the transfer tape off of the board and in no time flat, I had a completed, beautiful Patriotic decoration that looks absolutely stunning! Isn’t is just so much fun!?!? Be sure to stop by A Prudent Life blog and Girl Loves Glam blog to see their awesome projects this month too!! And now it’s time to join in the fun and ENTER TO WIN!! This giveaway is sponsored and administered by Expressions Vinyl. I love how this turned out Ashley!! I wouldn&#39;t have thought to use vinyl on it. Oh thank you so much Kelsey!! I haven&#39;t really played with vinyl very much but I am starting to get so many fantastic ideas for it! 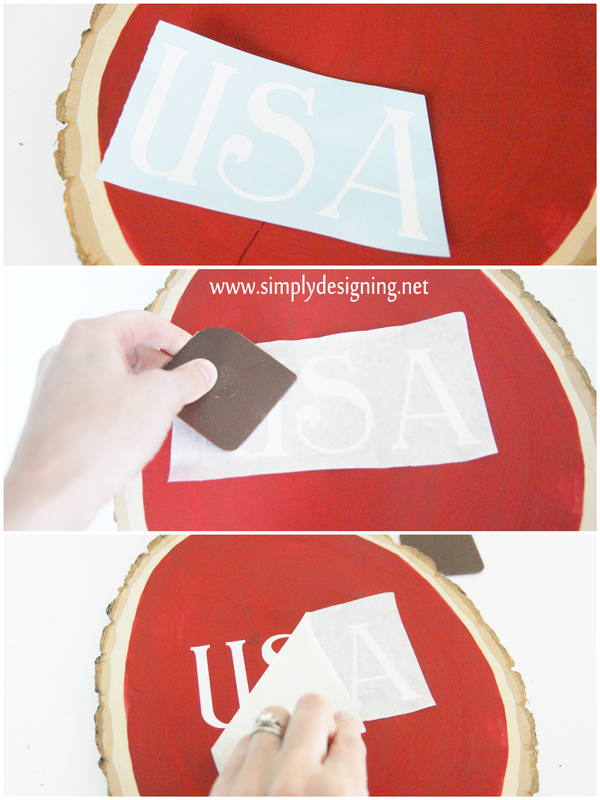 Love this quick and easy holiday craft! Oh thank you so much! And vinyl is so much fun! Once you start using it you find so many uses for it! Thank you so much Doree!